Mr. Kevin Cardwell spent 22 years in the U.S. Navy, during this time he tested and evaluated surveillance and weapon system software, some of this work was on projects like the Multi-Sensor Torpedo Alertment Processor (MSTRAP), Tactical Decision Support System (TDSS), Computer Aided Dead Reckoning Tracer (CADRT), Advanced Radar Periscope Discrimination and Detection (ARPDD), and the Remote Mine Hunting System (RMHS). He has worked as both software and systems engineer on a variety of Department of Defense projects and early on was chosen as a member of the project to bring Internet access to ships at sea. Following this highly successful project he was selected to head the team that built a Network Operations Center (NOC) that provided services to the commands ashore and ships at sea in the Norwegian Sea and Atlantic Ocean. He served as the Leading Chief of Information Security at the NOC for six years prior to retiring from the U.S. Navy. During this time, he was the leader of a 5 person Red Team that had a 100% success rate at compromising systems and networks. Mr. Cardwell currently works as a free-lance consultant and provides consulting services for companies throughout the world, and as an advisor to numerous government entities within the US and UK. He is an instructor, technical editor and author for computer forensics, and hacking courses. 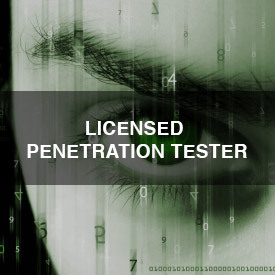 He is technical editor of the Learning Tree Course Ethical Hacking and Countermeasures and Computer Forensics. 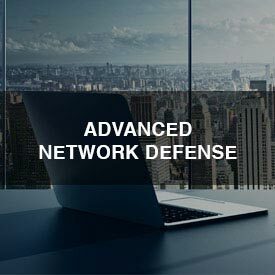 He is author of the Controlling Network Access course. He has presented at Blackhat USA Conferences. 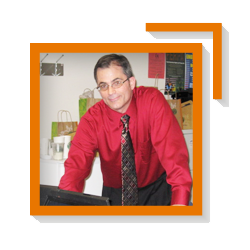 He is a contributing author to the Computer Hacking Forensics Investigator V3 Study Guide and The Best Damn Cybercrime and Digital Forensics Book Period. He is a Certified Ethical Hacker (CEH), Certified Security analyst (E|CSA), Qualified Penetration Tester (QPT), Certified in Handheld Forensics, Computer Hacking Forensic Investigator (CHFI) and Live Computer Forensics Expert (LCFE), and holds a BS in Computer Science from National University in California and a MS in Software Engineering from the Southern Methodist University (SMU) in Texas. His current research projects are in Computer Forensic evidence collection on “live” systems, Professional Security Testing and Advanced Rootkit technologies. He developed the Strategy and Training Development Plan for the first Government CERT in the country of Oman, he serves as a professional training consultant to the Oman Information Technology Authority, and is currently developing the team to man the first Commercial Security Operations Center in the country of Oman. CAST on-site provides personalized advanced security courses to meet the needs of an individual or company that are planning to ensure maximum flexibility in terms of logistics, dates and cost issues. Our certified expert trainers are experienced instructors and highly knowledgeable in their respective fields. CAST on-site prides itself on strict quality control principles at all times to ensure that clients receive the highest standard of training and service. On-Site training is designed to add great value to your work force by increasing staff efficiency and skills ensuring improved productivity and output that far exceeds the value of the initial training costs. CAST On-site allows students to receive training in more manageable sessions arranged over a few days allowing for greater absorption of knowledge with an opportunity to practice and verify the new skills after each session prior to commencing the next one. With CAST On-site Advanced Security courses students will be able to take advantage of directly conversing with the instructor in matters unique to the student and your organization. You can be rest assured that all challenges and objectives pertaining to your organization’s goals can be discussed in an environment that ensures complete confidentiality. Inquire online about advanced security training programs if you have questions, comments or feedback for us, please send us a message using the form below or email us at [email protected] For more information and news updates, connect with us via social media or our mailing list. We look forward to hearing from you!